This is an OPEN Competition, in which, the total number of competitors will be divided in 3 groups. Registration must be received no later than the deadline specified in the special regulations, accompanied by the sum of €30.00 which will include venue fee, organizational costs and prizes. The Competition will take place in Rathbeggan Lakes. Address: Rathbeggan, Dunshaughlin, Co. Meath, A85 WK18. The fishing rods can not be longer than 9 ft (2.70m). The artificial lures allowed are: spoons, cranks, spinners and soft baits. The use of any natural bait, flyes or any other lures dressed with any time of textile material (fur, hackle, hair) is stricktly prohibited. All the lures will be armed with single barbless hooks. All competitors needs to have a landing net (preferably with silicone or rubber mesh) and pliers. The failure in complying with Art. 3 will lead to immediate disqualification whitout refund of registration fee. 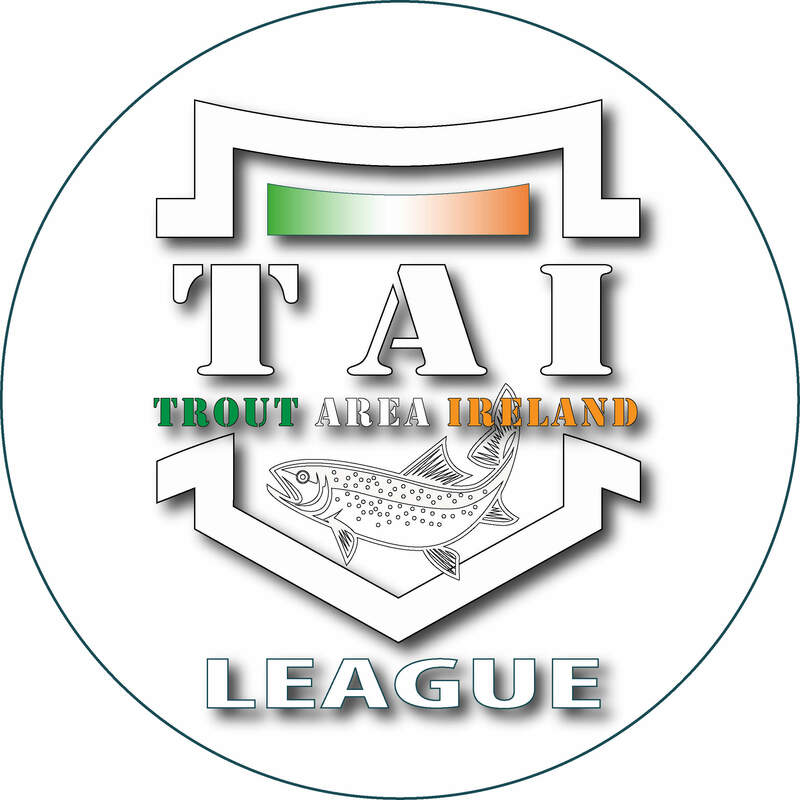 The total number of registered competitors will be divided by random drawing in three groups (1st, 2nd and 3rd .group) and the "Trout Area" competition will be divided into 3 phases: 1. - 9 qualifying rounds; 2. - Semifinal; 3. - Final The drawing of the groups, in a totally random way, must take place in the morning of the competition and in the presence of all the competitors. The peg numbers will be equal to one third of the total number of participants and with a distance of 4 meters between them. Art.6 - The qualifying rounds, semifinal and final. From a total number of 9 rounds, each participant will face a different competitor in 6 rounds of 20 minutes each and will act as a steward in other 3 rounds. Will be a 5 min. break between each round, with a 30 min break between first 9 rounds and semifinal. Each pair of competitors will swap the position on the half of each round. (after 10 min.) The moment of position swap will be set by an acoustic signal from the steward - the fish in the net will be considered valid. a) Competitors will also play the role of steward and score the captures (eg. out of 9 rounds, each competitor will challenge another participant in 6 rounds while 3 rounds will play the role of steward). c) In the first round a competitor of the first group will challenge a competitor of the third group, while a competitor of the second group will act as an steward. d) In the second round a competitor from the first group will challenge a competitor from the second group, while a competitor from the third group will be steward. e) In the third round a competitor from the second group will challenge a competitor from the third group, while a competitor from first group will act as a steward. f) This system will be repeated for 9 rounds, in practice the members of each group, 6 times will compete against members from the other two groups and 3 times will have the steward role. g) Before the start, the competitors will be equipped with a randomly assigned number and a card showing the shifts and the various movements that the competitor will have to make. 3rd, 6th and 9th round stewards in the 1st group. h) To the competitors with the functions of steward will be given a form for the record of the catch that will be returned to the Director of competition at each round; the same will control the regular behavior of the angling (according to the rules and the spirit of the event). The prizes will be insured by a part of the registration fee and by spontaneous donations - all the prizes will be communicated before each competition. c) Casting with intention outide your peg area will bring you a penality point. 2 penality points will bring immediate disqualification. d) Fishing stationary and keeping the soft bait on the bottom (without spinning the reel) for more than 15 seconds will bring you a penality point. 2 penality points will bring immediate disqualification. e) To take anti-sporting attitudes and stipulate agreements that can facilitate or harm oneself or others. At each turn after the first, the competitors of the first group will position themselves on the next peg, the competitors of the second group will perform two peg jumps, while the competitors of the third group will position themselves, jumping 3 pegs, regardless of the role they will play (athlete or steward). All the peg jumps are clearly marked in each competitor leaflet. The capture will be validated if the fish is caught by mouth or if at least one hook is in the mouth (head) of the fish. The fish is valid only after was landed with the net, disgorged without touching the fish with hand (the fish can be touched from exterior of net`s mesh) and released with caution. Trout is prohibited to touch the ground during the landing, or to be kept suspended in the air inside the net. you will be allowed to touch with the hands only the artificial bait and the hook, and the trout in this phase must however remain in the net. If the fish is touched with the hands, the fish touches the ground, is bleeding or was fouly hooked, this wont validate and won`t count on the score sheet. At the end of the 9 rounds, based on the score achieved and reported on the card's column, the first 6th competitors who have accumulated the most points will queue up to semifinals. In case of draw on points and fish from 6th place, the competitors will enter in semifinals based on “golden trout” in a 10 min round. Eg. equal points & catches for 6th 7th and 8th place => golden trout. Will accede the 6 winners of the previous round and they will challenge each other with the same system, in 3 pegs for a time of 20 minutes. The semifinal pairs will be 1-6, 2-5, 3-4. If 2 competitors are with equal results after 20 minutes the competitors will get an extra 10 minutes (will swap position after 5 min). This will allow the organizer to move the 3 pegs anywhere on the lake. In case of tie, will have priority the best result from first 9 rounds. They will fish for a time of 21 minutes and clockwise rotation on the posts of the pegs assigned every 7 minutes - in practice at the first movement the first extract will assume the position of the last extracted, the second will assume the position of the 1st and 3rd position of the 2nd. At the end of the 21 minutes, the victory will be attributed to the competitor who will have made more captures. If 2 competitors with more captures than the 3rd, the latter will be considered 3rd place and will abandon the peg. The remainers will continue the challenge by competing for 1st and 2nd place (extra 10 min). In this case who catch the first fish will be the the winner of the event. If the 20 minutes finish with a competitor with more catches and the other 2 even, the first will be the winner and between the other 2 will have priority the best result from first 9 rounds. If all 3 competitors will have same number of fish after 20 min, the first competitor who catch a fish will be the winner and between the other 2 will have priority the best result from first 9 rounds.